The Casumo Winter Games promotion has officially begun, and a month of casino fun is here. Play at Casumo in December for a chance of winning special jackpots, compete in boosted Reel Races, and test your luck in juicy giveaways. Learn everything you need to know about Casumo’s latest blockbuster promo in this article! It seems like Casumo is aiming at having the biggest and best Christmas casino promotion of the year, so don’t miss out on any of the action this Holiday! Make sure to read the full bonus terms and conditions at Casumo before participating in any promotion. 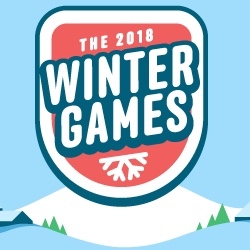 Since the Winter Games promo is ongoing, you can participate in special Reel Races with boosted cash prizes every single day. This week you can try your luck on popular slots such as Moon Princess, Fire Joker, Book of Dead and Dragon’s Luck for a chance of winning up to £2,000 in cash, and be ready at 20:00 CET on Sunday when you can win up to £5,000 by playing Legacy of Egypt. Head over to Casumo to learn more about Reel Races and how to join them.